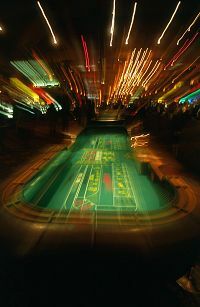 Everyone knows that Vegas is all about gambling, eating, entertainment and partying. But does everyone know about the hidden treasures Vegas has to offer? Well, for something different but with the same excitement of the Vegas casinos, consider these options the next time your in "sin city". For a new kind of buzz that doesn't included alcohol, try the "Oxygen Bar". For just a buck a minute, you can inhale the aromatherapeutic "flavors" of the oxygen bar. No liquids are used here, so enjoy this pleasant new experience.